Lately I've been obsessed with silhouette pictures. I love silhouettes of pretty much everything and have decided to incorporate this design style into some of the rooms in my home. For starters, I have a vast collection of photos--of my family (of course) but also of vintage weddings. I know that I do not lack the artistic skills needed nor do I lack the imagery. For Halloween one of the several cakes I am serving is a silhouette cake--and after doing some research in design styles I have seen how incredibly easy these cakes are to decorate. 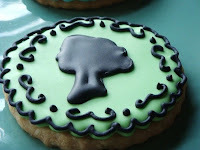 They turn out elegant every time (as long as you can cut your pattern well) and can be applied onto fondant as well as onto buttercream. I'm not sure where these photos originated but would love to know who designed these cakes and cookies as they are fantabulous and they deserve credit! 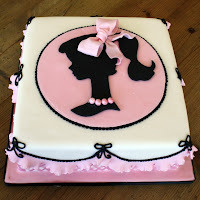 Silhouette cakes can apply to any event, and are much better than the photo cakes I see so often in facebook photos (you know, the tacky ones on birthday cakes, etc...). Getting married? Have a bride/groom silhouette. Baby shower? Silhouettes of rattles, babies, bottles, etc. 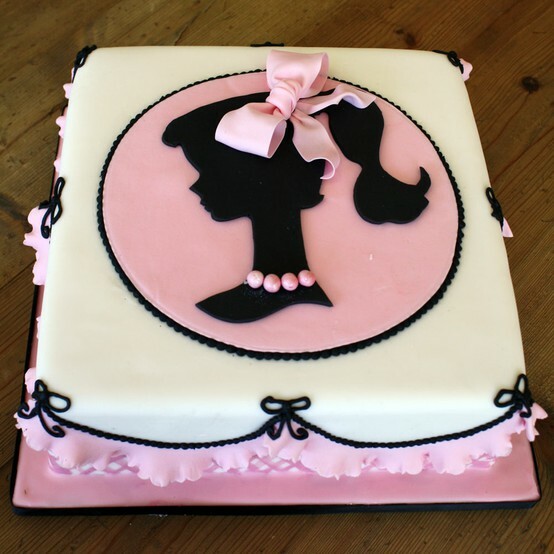 You could even do a silhouette of a birthday cake on a birthday cake. 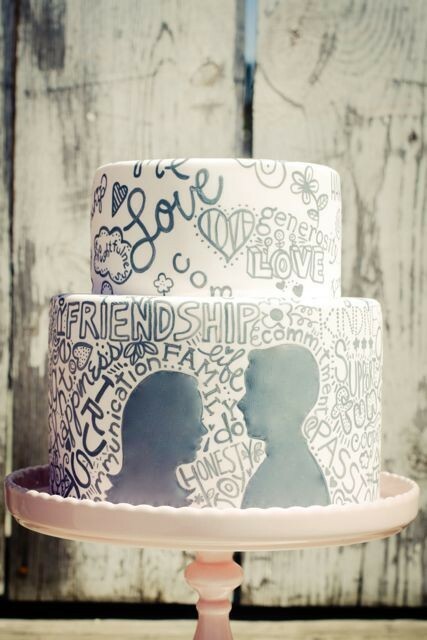 Be creative and I want to see some of your photos so please email me them--I am writing a piece write now on silhouette cakes!